Phd-theses belong to the least accessible academic publications. 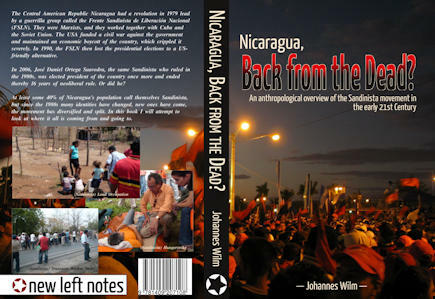 Anthropologist Johannes Wilm chose to make his thesis available to the public - both online as a free download, as e-book and affordable paper book. In this email-interview he explains us how he did it and why he thinks students should set up their own publishing company. Why is open access publishing important for you? – The Sandinista movement in Nicaragua, and how I believe it has changed since the 1980s. There are elections in Nicaragua this fall, and while the Sandinistas have been in power since 2007, this may change a lot and interest in Nicaragua may grow around the elections, so I feel it’s necessary to have this out right now. – I have been wondering whether I should wait with the free web version until real-life small-scale bookstores have had a chance, but what they have been telling me at the Revolutionary Grounds bookstore in Tucson, AZ is that people still buy the real paperback version even if things are online. So based on that the current plan is to put out everything at the same time. – By the way, I should add that the text I will publish has a lot in common with my current thesis draft, but it is not the same. The book-version has a completely different conclusion than the thesis version. It is much less academic, aimed more at the general public, and looks more at the political outlook the country currently has. The requirements of what needs to go into a PhD thesis these days are unfortunately such that the text that comes out of it is not really interesting to read for anyone beyond the exam committee. – I thought about that. I found the handful of publishers that do open access publishing and contacted them. They all sent me encouraging comments, but said that my field was too strange or too specific. I also considered printing it with a traditional publishing house. With the exception of the top 10 university presses it seems like there is no real advantage of doing it that way. On the contrary, they impose their not-so-well founded ideas, then have someone edit it who has no knowledge of the field and end up hijacking the manuscript for at least a very long period of time – possibly forever. The publishing house should give some quality assurance, but given that many smaller presses just appear and disappear within very short time, that is not really given. – Printing with a certain university press makes your work unavailable to almost anybody, with the exception to those few living close enough to a bookshop that sells it. People in the “Third world” are generally cut off from access to these books also due to the price, which oftentimes is upward of 35 USD. Using the techniques described below one should be able to offer a 300+ paged book in softcover for under 20 USD, while still being able to pay for returns and some more and offering the required discount to booksellers. – It is true that in the past there was some prestige connected to the label. Academia is currently changing massively and so is the publishing business. Nobody can quite know what things will be like in just a few years, so I think one should look at what makes sense technically. Who published Das Kapital? Does anybody know? Does anybody care? Not really. – Great books should be able to stand on their own merit. That is also the case for the less famous books. When I was looking for books about Sandinismo in Nicaragua in the 1980s, the publishers were all over the place. Had I decided only to stick with books printed by the top university publishers, I would not have read any of the best books. – If one is afraid of all that and doesn’t have a technical-genius spouse or brother or someone else close, I would recommend giving up on trying to make it look pixel-perfect and instead just write the whole thing in Libreoffice which is free. It shouldn’t be too hard to have it produce reasonably well-looking PDFs, HTML-files and Epubs out of that. – I would recommend to research first what the guidelines for publishing your manuscripts at your particular university are. Some universities seem to have set out to make this impossible as they feel threatened. Much work could be saved if several students were to go together to make a formal publishing company and register it. If PhD students could be convinced to lower themselves enough to talk to master-degree students, they could form the more permanent part of such a publishing company at one particular institute, that makes sure that knowledge about how to do these things is not lost every time a class graduates. This way they could built up links to particular bookstores in the university area and share technical knowledge about the process. – Also, I would recommend to have several official sites of publishing. so if you have one in the US and one in a European country where ISBN-numbers are free, you can get your book listed bot with the US Library of Congress and enjoy the free ISBN-numbers. All you need to have in the US is “an office that can answer substantial cataloging questions” as I was informed. I take that as meaning some person with an address and a cell-phone which most likely never will be called up anyway. The site of publication is independent of the site of printing. – Those who don’t want to start up their own publishing company can self-publish easily through Lulu.com and Createspace.com (Amazon’s self-publishing arm) for softcover books and Lulu.com, Kindle Direct Publishing (KDP) and Smashwords.com for the electronic versions for just about all devices. ISBN-numbers are given for free by Lulu and Smashwords and KDP publishes without one, but these companies will then be listed as the publisher. It simply means that it’s easier to spot these as being the product of self-publishing. – The format you need to deliver it in is PDF for the printed version. Libreoffice has a built-in function to create PDFs. Just make sure that the margins are at least .5“ for the outer margins and .75” for the inner margin (gutter) and that you set the document size to be what it needs to be. – For the electronic version you need some different formats. Lulu.com is good for Ipad-publishing and it accepts Epub, which is good, because that is also the output format. That means that you can fully control what it will look like. What works best is oftentimes first to convert the Libreoffice document to an HTML-page. You may want to change the contents to accommodate for the fact that page-numbering will not be available. Then use Calibre to convert it to an Epub for the required device. If the Epub doesn’t go through the input-checking mechanisms of Lulu.com, get Sigil and open the Epub in that program. Sigil checks for compliance with the standard and makes any necessary change automatically. Save te file again immeidately and now it should work. – KDP accepts Epub-files, but will eventually convert it to the Mobipocket-format, so you are better of converting to Mobipocket to start with. Calibre can do that for you. KDP can also be used to publish to the Ipad. – Smashwords is good for almost all other E-readers, such as Nook, Sony E-reader, etc. They only accept Word-files which they then convert to Epub-files for the different readers through an automatic script. This means that the quality will not be the best and you have few ways to control how it comes out. I would only recommend this as a backup solution and as a way of bringing the book to more obscure ereaders. – Additionally you may want to list the book with Amazone’s Createspace.com. You can use the same ISBN, so that the books will be listed under the same heading on Amazon and it should always be listed as in-stock on Amazon.com . – The real costs nowadays lie in the editing process. I count myself as very fortunate to have found volunteer editors who did this for free for me. Although in theory it is in exchange for other services – help with computers – that I provided them with, the value of what they did far exceeds the value of what I did. I do think that the final result comes out much better than what it would have with a traditional publishing company, precisely because I knew these editors and they had an interest in the material. – Another cost may be marketing. Fortunately I have work experience as an IT professional and so making web pages and alike are not an issue for me. Nevertheless, I don’t have any illusions about massive sales. One aspect that was important to me was to make sure that the pricing would work out for small real-life bookstores so that hopefully with enough marketing efforts. I can convince the radical book stores around to have at least one copy out for people to flip through. – Most self-publishing solutions offer to list your book so that it is available to all these, but it does so under conditions that are unattractive for the bookstore. What you need to offer is 55% discount on the recommended salesprice and the offer for them to return the books. Lightningsource will trow away those books, and it is generally said that 30% of books will end up like this. They will charge you for the whole-sale price of these books, so you need to make sure that your earnings on each book covers those extra costs. When you offer this through Ingram (one of the distribution channels of Lightningsource), it seems to end up as 40% discount to the bookstore if they order only one book. That is good enough for them. Some people have experimented with short discounts of only 20–25% and no returns. That is too little for any normal bookstores to carry it, but until very recently at least, Amazon still carried these books and profits for authors were accordingly high. This seems to have ended recently though. – I was quite surprised to find that the tools for doing the conversion between one format and the other weren’t really evolved. Also the bibliography part of the Lyx editor I chose to use, were outdated and didn’t provide some of the things that people writing in the humanities rely on - such as providing a first-published date for a bibliographic item or converting graphs inside of the text to an image format that works in Epub and HTML. – I ended up in long conversations on email lists with the developers of these programs and send in some patches to these programs for some of the things. I wrote a small program that takes care of all the bugs in all the programs that are involved. It can do the conversion as well as some other things (such as backup, calculating statistics, find common grammatical mistakes, etc.). I will be happy to share it with anyone who needs it. – Another issue: Most ebook-readers out there so not implement the Epub-standard perfectly. That means that although one has an Epub that follows all the standards, one can be quite sure that it will not display properly on all the readers. Kovid Goyal, the creator of the Calibre ebook management software has done a good job in creating conversion scripts that create Epubs for all the different readers. Unfortunately they do this by breaking compatibility with the standard, and many distribution sites will only check whether your Epub complies to the standards and not whether the book will actually look good in the reader. – Some of the other obstacles were things like that as a newly registered publishing company, the US Library of Congress will not prepare the Cataloging-in-Publication data (CIP) that needs to go on the Copyright page until you have published books by at least three different authors that are present in libraries somewhere. That means that until then one has to prepare the data oneself. Much of it is easy enough, but classifying the book according to the Dewey and the Library of Congress classification systems is challenging, because these numbers are not available freely online and no library nearby would let me take a look at their copies. These numbers are part of the CiP data so one somehow needs to find these. – In many European countries there are extensive measures put in place to help small-scale authors. If one of these happens to help you – good luck! If they restrict you from putting the manuscript online, I would think twice about signing up for it. In the UK – certainly at a growing number of universities there – theses are automatically put on the web as part of open access repositories anyway. Yes, that may happen several places. But those are not really accessible to non-academic readers. Also they put out the thesis in its original format, which is not really readable. If you self-publish you cut away all the academicized blabla, and add the explanations the “normal” person needs in order to understand it. You then give the whole thing an attractive physical form, and publish that. Thanks a lot to both of you for all this. Very interesting post, and I also want to thank you both for producing this. Coincidentally, I have also self-published, and I publish student research via a publishing company that I set up–Alert Press. However I have to say that my views on a number of points diverge from Johannes, on various fronts, including the technical production side, the question of self-publishing in academia, and on the question of peer-review. Otherwise, I agree with Johannes pretty well on 90% of what he says, and found some of his suggestions useful for my own work. –CIP seems to be very distinct in the U.S.–there are no such restrictions in Canada. –ISBN: You can become your own ISBN provider, at least in Canada, especially if you are a publisher. –COSTS: No, these can instead be quite high, because it is still expected that a professional piece of work contain an Index, and to have that done properly you can either spend inordinate amounts of time and frustration doing it yourself, or like me, you hire an indexer…at $1,000 to circa $1,300 US each time. –SELF-PUBLISHING: in some Canadian universities, but likely not the top tier ones, there is some reluctant acceptance of self-published work on one’s CV, but if most of your work is self-published, it will neither get you hired, nor promoted and tenured. The tenure process in the U.S. is absolute torture in terms of its demands, so you want to be careful about what you advise to those planning an academic career. –PEER-REVIEW: In Johannes’ case, I don’t think one can argue his PhD was not peer reviewed by some definitions–of course it was, it was reviewed by supervisors, commented on by fellow students, the whole process of getting a dissertation to pass in other words. Subsequently, without that process, one can look like one is trying to evade critique and rushing to get in print. I don’t see why open access, and self-publishing, must necessarily come without some form of peer review. Again, however, I agree with Johannes’ comments on reviews by presses, but I have to say that I always found the review process to be very helpful. It’s free advice–hard to get. I could go on…and on, and on…let me stop here and thank you both once again. Sorry for any typos, writing in haste. –ISBN: Yes, these come for free in many European countries if you register as your own publisher, whereas in the US they cost money even then. From your statement it seems the same is the case in Canada. Also when you are a publisher, the ISBN-agency will assign an ISBN-block to you, so you cannot create these out of thin air for yourself. I really think we are saying the same thing just with different words. – Indexing Costs: If you use a professional system, such as the LyX editor (editing LaTeX sources) I described above, it’s not that hard. I think I spent about a week on indexing the entire thing and some of the indexing really only I or someone very familiar with the subject matter could do. 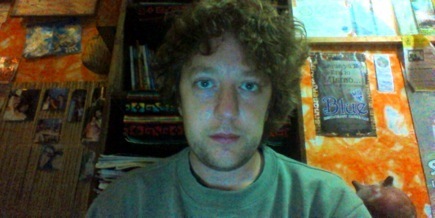 For example, several people with very similar names appear, some of which are famous and others who are not. An indexer would likely have stuffed all of them together. I am not sure how one would go about doing it when using Libreoffice or some other word processor. – Getting you hired: Well, it is my understanding that for the great majority of us, tenure and all that is an illusion anyway. Some may get to the post-doc stage, whereas many probably won’t even reach that. You make a point that if you try for one of those, you likely need formal peer-review. But watch out, because many/most publishers today do not offer this either. At this stage my book wouldn’t make it, because I’ve exchanged all the academic language with language that non-academics can understand. That seemed more important to me. I will have spent 4 years of my life on this – a measurable percentage even if I die at age 100 – and am not just going to throw it all away or make it unnecessarily inaccessible just to get a shot at a position that is not really an option anyways. You mention conventions about top-tier universities, etc. . I would look at it from the other side: If a university only employs staff that has written things that is inaccessible to the general public, how well would one think these people can teach to students who generally enter the classroom the first time without more knowledge than the general population? Do these really deserve to be called top-tier universities? Higher education is set to be the next bubble already. PhDs get produced in great numbers that cannot be employed afterward and student loans are given out that cannot be paid back. The whole model is heading for collapse. I wouldn’t bet my horses on that. – Self-made peer review: If one just needs to prove peer-review of some kind (not approved by any agency or alike) of the double-blind type or simply by having a knowledgeable review board doing it, the trick would be to go together as a group of PhD- and master-students (master students are probably more relevant in those parts of the world where master degrees include original research) to register a publishing company collectively and then to provide peer-review for one-another. In all of these cases professors will have looked at and commented on the text already, so it would mostly be about making it accessible to non-academics. The Between and Betwixt journal at the University of Oslo works a bit like that, except that at least in my time there, everybody just wrote one article which was put together in a type of book that no-one would read and that most article writers were very reluctant having spread too much around. And it was all about keeping the language as inaccessible as possible. That way people could put on their CV that they had published in this journal without having to fear that anyone would actually look at it. btw, I found Alert Press a while back, around the time when I decided to go ahead with this project. It was the only such thing I could find anywhere, so it seems that the number of publishers of this kind is very limited. Lulu traditionally did not work with non-US ISBN numbers, which is why this wasn’t an option for a long time. Lulu and Lightningsource only print in Europe and the US, whereas Createspace only prints in the US. Createspace and Lulu can be used without upstart costs, whereas Lightningsource is only available to those who have their own publishing company and can only be used if one purchases the distribution services at the costs mentioned in the article. The reason one should look at Lightningsource though is that Lightningsource and Createspace offer books at significantly lower printing costs than Lulu (about 50% last time I checked). If one is based in the Americas I would recommend uploading the book to Createspace and order proof copies from there until one is certain that it’s good. Then one can switch to Lightningsource. If one is based in Europe, I would use Lulu for all the proof copies until one is completely certain that it’s fine. In my case I sent some proof copies to people in the US, Europe and Nicaragua to get final comments from different people and in the case of Nicaragua, to give informants an opportunity to revise their own statements and tell me if I should remove something due to security concerns. it was very easy to set this up on Createspace/Lulu at costs that were lower than if I had printed the manuscript out and mailed myself. Many thanks Johannes. First for recommending two resources with which I was unfamiliar, Lightningsource and Createspace. Also, for the important commentary on tenure, the production of academic jobs, and the many ideas concerning new modes of publishing. I think all of that is very important and I hope you get to disseminate and elaborate on it further. I take your comments on top tier universities very well! The nice thing about GRIN is that it allows you to reach people who might not otherwise hear about your work and allow them to order it with the ISBN. I say go for it, of only to see your name associated with an ISBN. And I’ve compared quite some contracts of these publishing houses. With them I couldn’t find any strings attached. 1) Students will publish the research work in Journals as part their thesis work, and finally thesis will be submitted to university for academic degree and it will be property of University, as we submit the copy right to both Journal and university. In such case, is it possible to publish again the thesis/desseration as e-book? If your university takes over the copyright for the thesis and leaves you as the student with no right to your own work, it is of course not legal to publish it somewhere else later. However, if this is really how your university operates, I would suggest for you to find a new university. That is certainly not the standard way for a university to operate. I have never heard about it before. What exactly do you mean with “we submit the copy right to both Journal and university". If you give up your own copyright, you can only give it to one of the two, not both of them. If you give it to the journal, you cannot subsequently hand it in as a thesis (it is no longer yours). Hi, where do we stand on copy right of images, figures and text in the thesis. I am tempted to add my thesis to my website as a downloadable ebook which I will charge for. I’m not planning to seek permission from the multitude of sources in my references as it seems like a painful exercise. Is it enough to have robust referencing to be covered copyright wise ?